with our free 5-email course. Get a free pricing course in your inbox with data and advice from top freelancers. why don't you check out Bonsai? From proposals to payments, Bonsai is the first all-in-one solution for freelancers. Bonsai handles the back office. You focus on the work you love. Consultants enjoy different levels of success. Some seem to make more money and attract a higher quality of clients than others. The level of success your business enjoys or achieves is subject to various factors. However, you can increase your likelihood of success by learning to get more from your freelance clients. You don’t have to be a rocket scientist to do that though. Use the creative brief sample PDF to increase what you can get from each of your clients. So, how can you use the creative brief sample PDF to get more from your clients? The best freelancers know how to create the right environment for their businesses to flourish. Honesty is a crucial factor in creating a proper environment. Therefore, learn to be honest with your clients about every aspect of the project they delegate to you. Be genuine with the client. Let them know that you value honesty. Create expectations by being honest with them from the start. Honesty involves welcoming and encouraging feedback from the freelance clients. The best consultants guarantee quality. A money-back guarantee approach offers several benefits to consultants and their freelance clients. The goal here is to convince them to try your product first. You can do that by offering them their money back if they find the product substandard. No sane freelancers would give the money back if they know that the quality of the product offered is not worth writing home about. The money-back guarantee reassures clients that you deliver quality. Clients would then have no problem giving you everything that you want from the relationship. 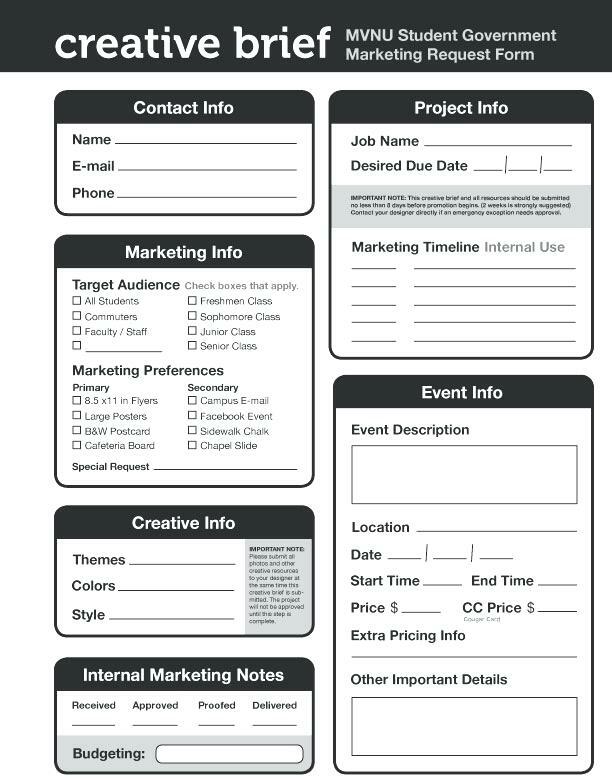 The creative brief sample PDF allows you to not only develop but also operate by a set plan of action. It’s not a good idea for freelancers to operate without any plan. That would only lead to haphazardness, which discourages clients from working closely with you. The brief should indicate how you intend to work through the clients’ aspirations. More importantly, it dictates the kind of plan the two of you should operate by for everybody’s benefit. Consultants work hard to become credible in the eyes of their clients. Come up with innovative solutions to all the problems your clients bring to your consultancy. Your insights and ideas should be equally innovative. First, you have to identify the right problem before attempting to solve it. The more you build credibility and trust with clients the more you increase your chances of getting everything that you need from the freelance clients. Customer experience has grown increasingly important in the world of freelancing. Find ways of guaranteeing your clients the positive experience they need and deserve. It’s costlier to get and retain new clients. It’s cheaper to continue offering your existing clients the best services and products. 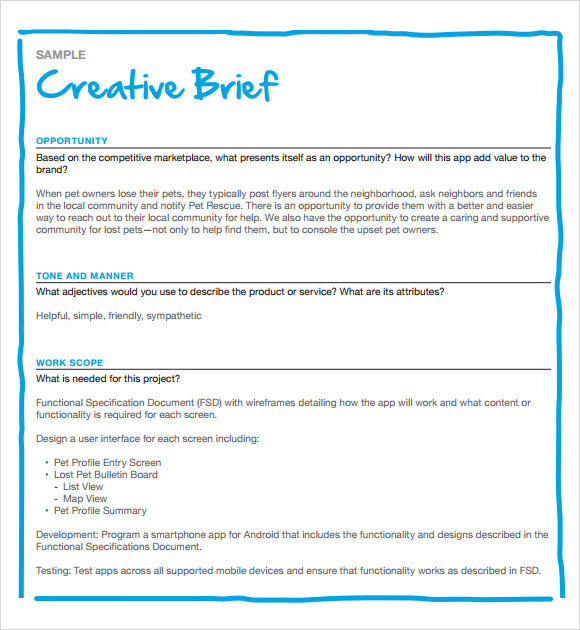 The creative brief sample PDF is a highly effective tool at creating expectations where this issue is concerned. Create positive experience upon which relationships with the customers will revolve. The stronger the relationship, the more you stand to gain from the clients. Therefore, delight your clients. Personalize your relationship with them. Provide guarantees and ask them for feedback. Don’t disappear on them either. Set the base for achieving all this and more from clients with the creative brief sample PDF. Ready to freelance like a pro?